Our office can assist with all aspects of probate, estate administration or distribution of assets. We recognize that this is a very difficult time for you. There will be many tasks to be completed, deadlines to be met and decisions to be made regarding property and assets. 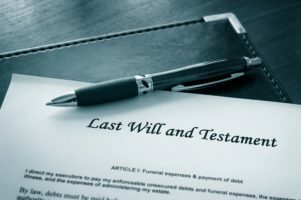 Contact us today and our estate attorney will explain how we may be of assistance from the initial stages of probate through estate administration. Every estate administration or probate presents unique facts and special considerations. We can present a plan of action to you which considers your familiarity with estate administration and your comfort level regarding work to be performed. We are willing to provide as much or as little legal work regarding an estate as you desire. For example, it may be that you simply need assistance with one particular accounting or the sale of a specific property. Whatever your need, we can help. Estate administration can become a time consuming and complicated process for someone who has picked up the task as a caring relative with a busy family and professional life. We are here to take all or parts of the administrative burden off of your shoulders. No matter what stage of the process you are in, we can help. Perhaps you’ve gotten to the point of filing an accounting or you need an amended accounting, our staff is ready to compile information and file in a timely manner. Contact us today and tell us how we may serve you. Do you have concerns about your rights as the beneficiary of an estate or trust? Our office also represents beneficiaries who suspect that estate or trust administration has been mishandled. If you are the beneficiary of an estate and feel that your loved one’s estate has been managed inappropriately, we can help research the estate history and determine the extent of misconduct. You may have legal options to correct the situation. Call our office today to tell us the unique details of your situation.